November 29, 1942 - July 31, 2018: Shirley was on the Canby City Counsel from Jan. 1994 to Dec. 2002. She loved Canby and spent most of her adult life there. Shirley Ann Strong, age 75, passed away on Tuesday, July 31, 2018; at her home in Woodburn, OR. She was born on November 29, 1942 in Forest Grove, Oregon, to Benjamin & Reva Bennett. 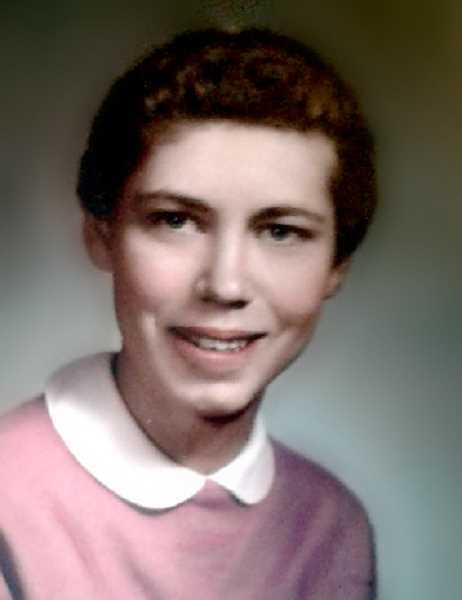 She graduated from Sutherlin High School in 1961; where she met the love of her life, Jerry Strong. The two were married on October 12,1961 in Caldwell, Idaho. They shared 56 loving years together. Shirley had two daughters, Teri Lynn Allphin (Brian) and Amy L. Newrones (Brian) and 5 beloved grandchildren; Joshua Waring, Sarah Waring, Justin Allphin, Ben Allphin and Tanner Newrones. Shirley worked in the banking industry for over 28 years; working her way up from a teller to an Assistant VP of Operations. She developed many lasting friendships along the way. Shirley was on the Canby City Counsel from Jan. 1994 to Dec. 2002. She loved Canby and spent most of her adult life there. Some of her favorite times were spent traveling around the world with Jerry, she especially loved to cruise. Her funeral services will be held on Tuesday, August 14, 2018 at 10am at Woodburn Christian Church; 126 N Workman Drive, Woodburn, OR 97071. The Strong family would like to extend our gratitude to all the staff at both Willamette Valley Hospice and Cascade Park for their loving care of Shirley. In lieu of flowers, memorials can be made in Shirley's name to Woodburn Christian Church.